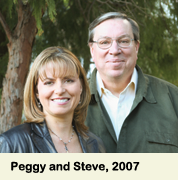 Welcome to the "Piano Orchestrations" catalog featuring the music of Peggy Duquesnel, Steve Hall and Friends. This catalog includes five new CD releases along with more than sixty other products from the works of both Bankbeat Productions and Joyspring Music. 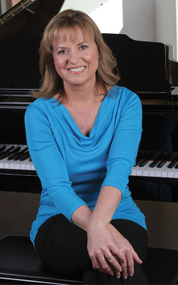 We are pleased to present uplifting and inspiring piano performances and arrangements. We have taken pride in including top world-class musicians and arrangers to present timeless music recordings, live concerts, nature videos and sheet music. As a friend, fellow pianist, and	recording partner of the late Steve Hall, I am honored to carry the torch and step into the role as the featured artist and owner of Bankbeat Productions. I was invited by Steve's widow Robyn Hall to continue his music legacy. I first recorded on Steve's record label in 1996 with the gifted guitarist David Patt, who is featured on many of Steve's records. In 2001, Steve encouraged me to start my own record label, Joyspring Music, with my "Give Thanks" solo piano recording. 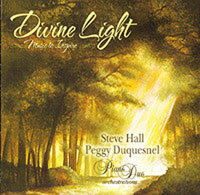 Five years later, Steve invited me to co-produce a piano duo CD with him titled "Divine Light." Steve's music and mentorship had a profound effect on many lives. His albums are still very popular today after many years of success in the inspirational and easy listening markets. We hope that you enjoy the music! For information regarding sharing our music with your customers, please give us a call direct at the above phone numbers...thank you!